Richard Werner has been at the University of Southampton since 2004. 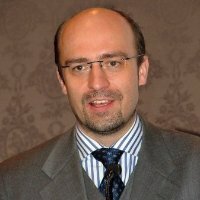 He is Director of International Development and founding Director of the Centre for Banking, Finance and Sustainable Development. Richard is also a member of the Southampton Management School’s Executive Board, as well as its Advisory Board. Richard’s book ‘Princes of the Yen’ became a no. 1 bestseller in Japan. His 2005 book ‘New Paradigm in Macroeconomics’ (Palgrave Macmillan) correctly predicted the collapse of the UK banking system and property market, highlighted the problem of ‘recurring banking crises’ and suggested workable solutions. Some of Richard’s work featured prominently in the financial press, attracting interest, among others, from Alan Greenspan. Richard has frequently appeared on Japanese and international TV commenting on economic and financial affairs. In 2003, the World Economic Forum selected him as ‘Global Leader for Tomorrow’ in Davos. In 1989, Richard graduated in International and Development Economics from the London School of Economics and entered the graduate programme in Economics at Oxford University. In 1990, he joined the Graduate School at the University of Tokyo and became a researcher at the Nomura Research Institute. In the following year, he became European Commission-sponsored Marie Curie Fellow at the Institute for Economics and Statistics, University of Oxford, to conduct doctoral studies on monetary economics and banking in Japan. In subsequent years Richard became the first Shimomura Fellow at the Research Institute for Capital Formation at the Japan Development Bank (now Development Bank of Japan), a Visiting Researcher at the Institute for Monetary and Economic Studies at the Bank of Japan, and Visiting Scholar at the Institute for Monetary and Fiscal Studies at the Ministry of Finance, Tokyo. In 1994, Richard took up the position of chief economist at Jardine Fleming Securities (Asia) Ltd., in which function his market forecasting activities earned him high rankings in investor surveys (Institutional Investor, Greenwich, Japanese Economist). In 1997, Richard joined the faculty of Sophia University, Tokyo, to teach Money and Banking and International Finance. In 1998, he left Jardine Fleming and set up a consulting firm, Profit Research, which conducts macroeconomic research and market forecasting on 37 countries. In 2000, he became tenured Assistant Professor of Economics, teaching Development Economics, International Economics and Monetary Economics. He has worked for several years as senior staff consultant of the Asian Development Bank, Manila, including as Team Leader of a country study on the Asian crisis. Richard has been advisor to the ruling Japanese Liberal Democratic Party’s Central Bank Reform Research Group and served on several Ministry of Finance advisory panels. From 2000 to 2003 Richard was a member of the asset allocation committee of one of the largest Japanese pension funds. He has over a decade of experience in advising international investors and hedge funds on investment strategy.